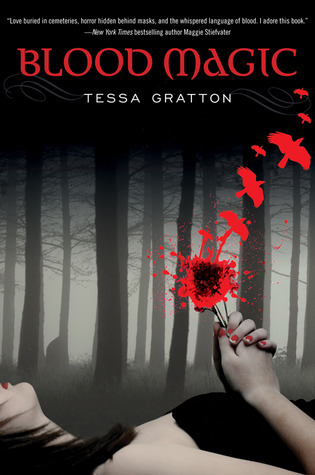 Tessa Gratton, the author of amazing YA titles like BLOOD MAGIC and THE BLOOD KEEPER, is offering FIVE query and partial manuscript critiques to the five highest bidders in this auction! Query letters & opening chapters are Tessa’s specialty. She’ll read and critique your query letter and the first 5000 words of your YA or MG novel if you’re one of those top bidders! Mandy, Tessa has offered this critique package to the top FIVE bidders – so unless you fall out of the top five, you don’t need to keep bidding. You are kind of bidding against yourself right now – just thought you should know! Q: If I fall out of the top 5 and want to rebid, do I just go higher than the lowest top 5 bid or higher than the highest bid listed? You’d need to bid above the current high bid. I am in amongst the top five bidders, did I win? Yes! Just emailed you, Michelle! Thanks for doing this, Kate and Joanne! Correction!!! The TOP FIVE BIDDERS have all won this auction, as Tessa is giving away FIVE of these packages. If you’re one of those top five, you’ve won & I’ll be in touch soon to let you know so you can make your donation! I’m so excited to be one of the lucky five. Thanks to Kate, Tessa and all the other wonderful people donating.